I'm sure by now most of you have heard of the terrible fires here in Arizona. Thankfully, we're about an hour and a half from them, but it is so sad. Sad enough that it is burning Yarnell, a gorgeous little town, but the saddest part is the huge loss of life. 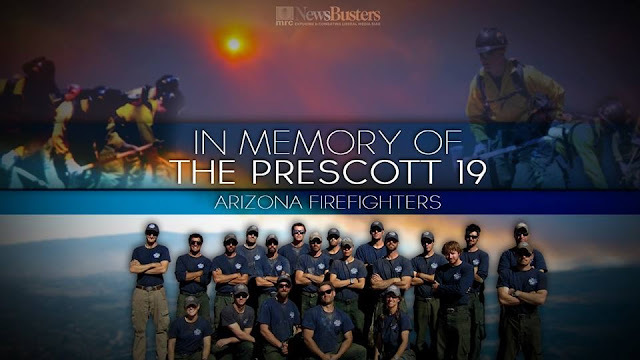 19 Granite Mountain hotshots died on Sunday trying to stop the fire. Please keep these families in your prayers...and pray that the fire will stop. "Boys Are Bigger Than Girls"